Imagine holding the future in your hands. 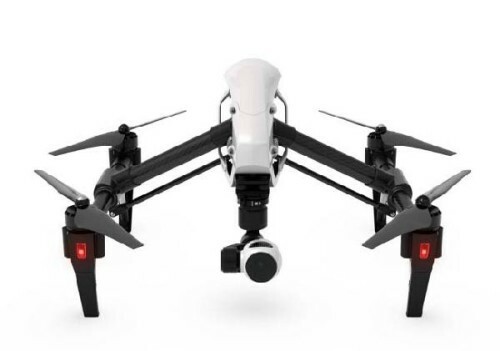 Designed to be powerful while lightweight, flexible while providing the stability you need, the Inspire 1 is DJIâ€™s most advanced complete package. All of the latest aerial technology is packed into one simple, ready-to-fly system, putting you in the sky within minutes. Carbon fiber arms give you the strength to maneuver in the air and they transform, moving out of the cameraâ€™s way at the flick of a switch. 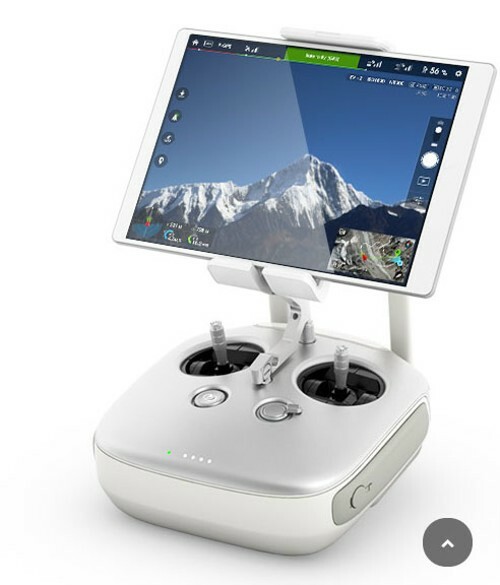 With a full 360â° unobstructed view, you now have the freedom to capture shots independent of the direction you are flying. 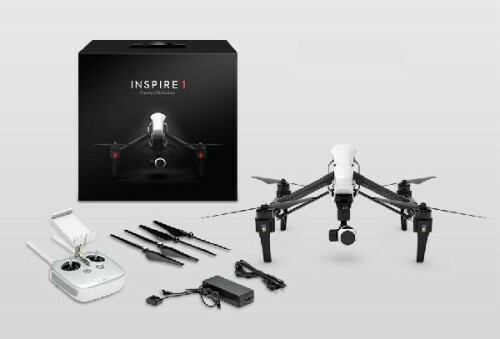 Every part, every component of the Inspire 1 was engineered to be durable and lightweight. The bodyâ€™s aerodynamic design cuts through the sky and further enhances your control over the aircraft. This ensures long flight times and a long operational life. Get crystal clear images with DJIâ€™s most advanced camera to date. 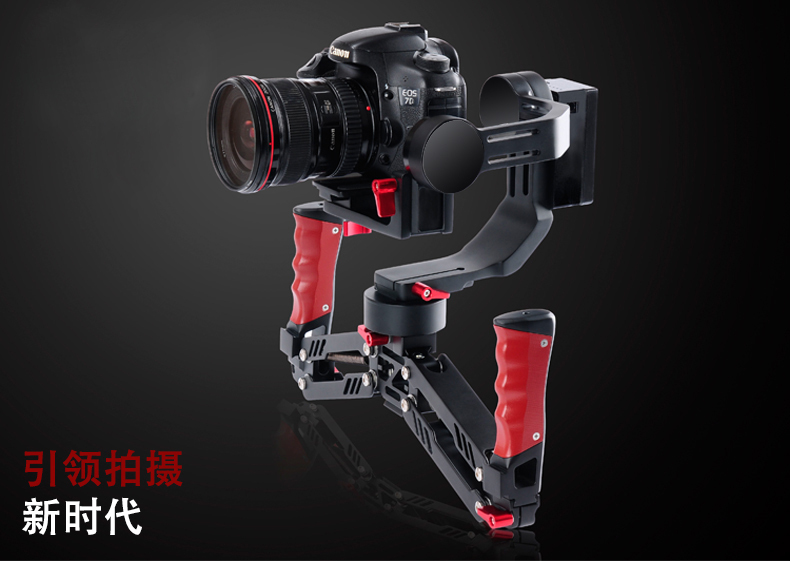 The gimbal holding your camera is the result of DJIâ€™s years of expertise in camera stabilization, giving you smooth, stable footage in any flight conditions. 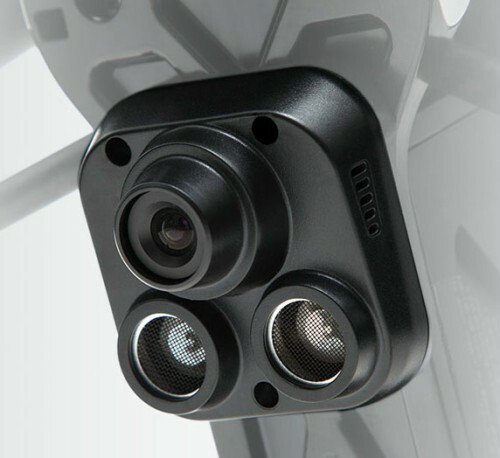 A real-time feed from your Inspire 1â€™s camera is displayed in 720p HD on your mobile device giving you a perfect view of what the camera sees to frame your shots. This is made possible by an all new and improved version of DJI's Lightbridge technology which can transmit video from up to 2km away. Indoor flight has always been a true test of skill for all levels of pilots. 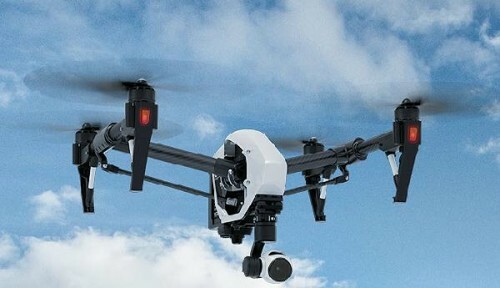 DJIâ€™s new Optical Flow technology uses a specially designed camera as well as sonic waves to bring simplicity to flying indoors. 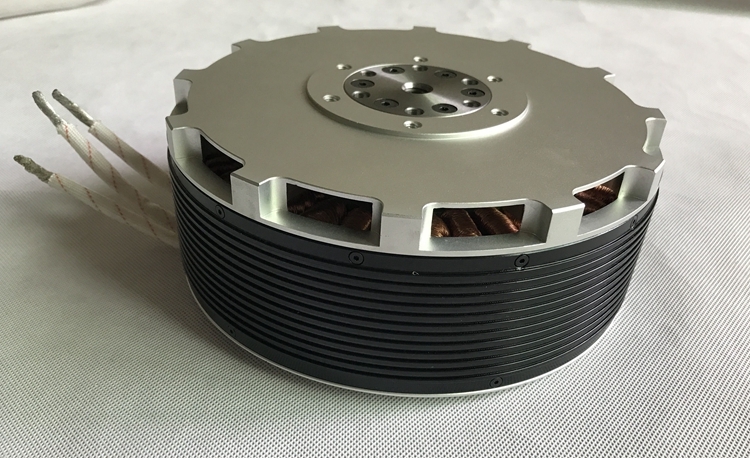 This technology allows the Inspire to hold its position, stop when the controls are released, and respond to your commands even when GPS is unavailable. When in flight, your remaining battery power is shown live, letting you know how long you can continue to fly. Advanced algorithms calculate the distance of your aircraft and estimated time to return home, letting you know when itâ€™s time to fly back.